Speed has 4 trains, as it is listed on Gerstlauer's website, and that would make sense why it has a MCBR. Although it may not run 4 now. Also, when I said I thought they all had 3 trains, I was referring to the Eurofighter 320/320+/380 models, not the Eurofighters in general. What I'm struggling to understand is why the it matters so much? 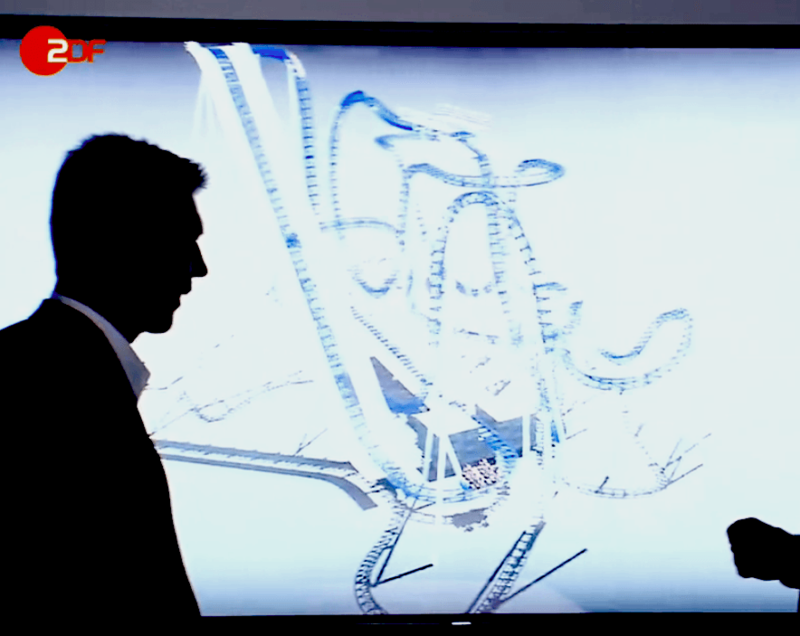 The park can buy as many trains as they like, advised by both Gerstlauer and their own operations/financial teams. Sure, there's existing precedent for models having three trains, but now there's not. I'm now debating if ATI stands for All Trims Identified, or All Throughputs Interrogated. vaugc002, Temleh and Lofty like this. Also, when I said I thought they all had 3 trains, I was referring to the Eurofighter 320/320+ models, not the Eurofighters in general. Have you been to Oakwood? The last two times I've been there's been two trains in sight, one of them operating and one just lingering around. Sooooooo. Oakwood scrapped the 4th train a long time ago for parts. They have 3 on site and rotate them whilst maintaining. There’s usually 2 on track and one in the maintenance shed, but most days one of them sits on the storage track. Matt N, Coaster, Lofty and 3 others like this. Theming work has begun on the side of the tunnel and on a roof/building structure on top of the tunnel as well. Temleh, Pear, Matt N and 3 others like this. Hutch, Matt N and CrashCoaster like this. Looks reasonable. Doesn't look to be a dive coaster though, but LG's drop looks awesome. Looks to be no MCBR though, so it looks like it will only run 2 cars. Unless there's a block right before the loop or an extra on the brake run? I'm sure they could squeeze in a third train somewhere, would be awesome for the throughput. Indeed. Plus this layout was drawn on MS Paint which doesn't scream 'completely accurate' tbh. If this is similar to the real layout, I'm kind of disappointed that there's no vertical plunge. Even though Lost Gravity's drop does look good, I'm hoping for something different. I thought that the layout has had snippets that have become public and it shows a 180º turn followed by a holding break and 90º drop just like a dive machine? And another, although harder to see. 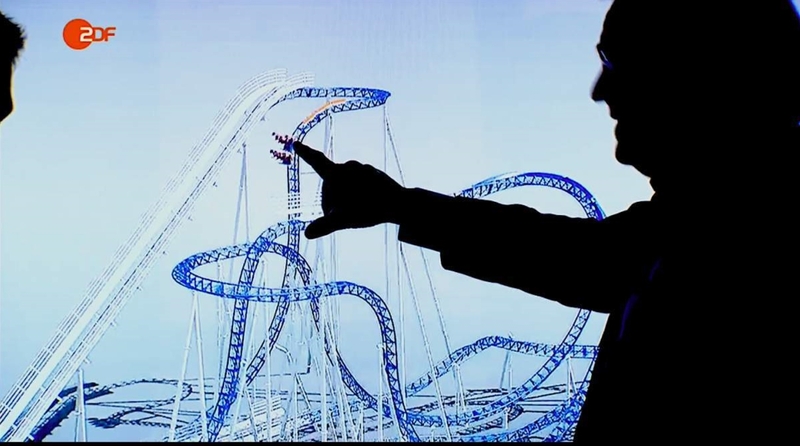 Apparently snippets of the ride's layout was shown during one of the park's shows (Midsummer Eve) and the guy who made the drawing compared that to the completed footers. The layout looks a bit short and I'm not sure how I feel about the giant helix. peep and Jaiden M. like this. Doesn't look like a bad little ride for a park of Plohn's size, in my opinion! If that dive drop is anything like Swarm's, then it should be great fun! The loop is at an odd location. Looks fun, but very short and not in the same league as Lost Gravity. Looks unusual and a bit short. That first drop looks like it could be pretty good. Hmm... Doesn't look anything like as good as Lost Gravity. Feels like a reasonably amateur NL2 creation. Mind, Lost Gravity looked pretty crappy even during it's construction, so maybe there's hope yet! I think it looks pretty decent. It's no Lost Gravity but it looks to have some nice elements.